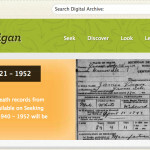 This isn’t about doing genealogy, but it could help you share those stories about your ancestors. If you’re blogging about your ancestors, you need to know the different types of links to your blog and when (and how) to use them. By default, most blogs are set up so that the main page shows the most recent posts, starting with the last one that was posted. As more posts are added, the older ones get pushed down the page. Eventually, they go off of the main page. Those posts are still accessible — they’re just not on the blog’s main page anymore. A link to your blog (in general) will point people to your blog’s main page. The URL would be something like http://www.nostorytoosmall.com or http://familytrees.wordpress.com. When you want people to take a look at your blog, but you don’t care which post they see, send them this link. They will see whatever the most recent posts are. A link to a specific blog post will take visitors to that post. The URLs are much longer. For example, the URL for my post about finding the origins of my great-great-grandmother is http://www.nostorytoosmall.com/posts/how-i-found-my-orphaned-milkmaid-susan-tucker-kelley/ . This is the kind of URL what you want to use when you want to point people to something specific. Blogs on Blogger and WordPress (and most other platforms) are designed by default so that when you click on the post’s title, it will take you to the URL with just that specific post. I can now copy/paste this URL when I want to point someone to just that post. But, let’s say you’ve been researching with Cousin Joe and you’ve written a post about how you just broke down your shared brick wall. “Hey, Joe! I finally broke down that brick wall! I just wrote about it on my blog. Here’s the link: http://example.wordpress.com. ” That’s all well and good right now… But Cousin Joe is wintering in Florida and he doesn’t get around to reading your email and doing anything with it for about 2 months. When he clicks that link, he’s going to see the most recent posts. And if you’ve been blogging regularly, that post you wanted him to see isn’t going to be on the main page. So Cousin Joe gets confused when he doesn’t see what you’re talking about. The golf course is beckoning, so he says, “The heck with this” and he never bothers to look for the awesome article you wrote. Don’t do that to your Cousin Joe. Send him a link to that specific post. Amy – Since I am new to blogging this is very helpful advice. 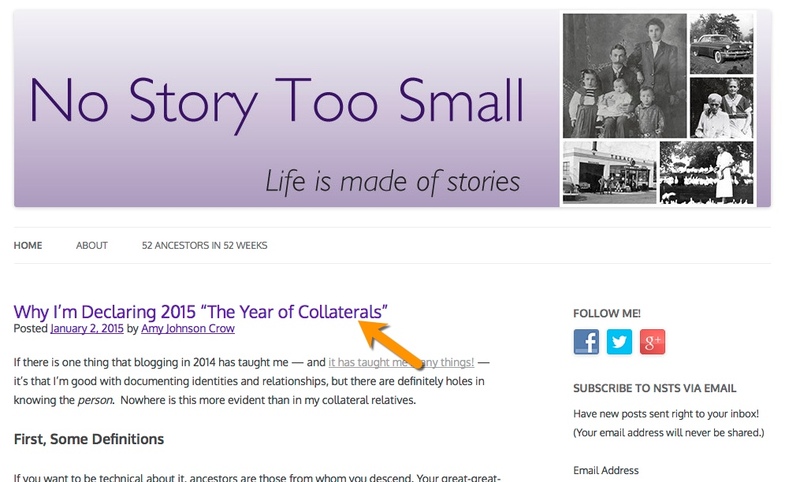 I am also very grateful for your optional prompts for 52 Ancestors in 52 Weeks for 2015. I only wrote about one relative last year but hope to do better this year. I appreciate your covering some basic things like this because I have just started a blog and know that I know very little about it. I hope you will continue to include short posts of this type in the future. I’m struggling to figure out how to classify blog posts so groups of them can be seen together. Of course, since I haven’t posted my first of 52 Ancestors yet, I won’t need that info for some time. Thanks again. You’re welcome! 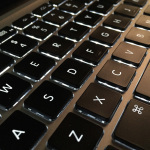 Classifying your blog posts is both easy and challenging. It’s easy to set up, but for me, the hard part is deciding how you want them organized. Categories are broad topics. You don’t want to have them so broad that they’re meaningless, but you don’t want them so narrow that only 1 post will really ever fit. In WordPress, a post can go into multiple categories. Maybe think about major surnames that you’ll blog about, states where they lived, etc. You could have a post be in both a Smith Family category and an Ohio category. And if it’s for the 52 Ancestors challenge, you could also make a category for that and put it in there as well. Don’t worry about it too much — you can change, add, and delete categories as you go. Thank you so much, Amy, especially for the “don’t worry about it too much” part. Sometimes I end up doing nothing because I want to do it right. I just posted my 52 Ancestors #0 post, and am working on #1 and #2, but they won’t be ready until later in the week. You’re welcome! What do you find challenging about blogging? 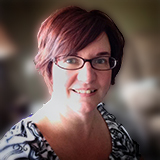 Amy I just started my first blog on WordPress and did a test post. The blog’s link I believe is https://gilliedogblog.wordpress.com/2015/01/06/diggingupbones…ancestors-2015/ – Can you please tell me if this is correct and you can see my test. OR what do I have to do to join the challenge. I have never blogged before. You asked what I found to be difficult about learning to BLOG……”NAVIGATION” took a full day to figure out how to respond to the question! I’m sorry I don’t have the time to learn all this new blogging stuff and WordPress is not very user friendly to me. I’ll just have to write my posts for me. Thanks, Jana! I appreciate it! Amy, I just saw this post, thanks to a link back from Jana. Quite timely article. Actually, I’ve linked back to that very same example post you mentioned on the Collaterals in a couple of my own blog posts. I use those links like some people use footnotes. The hyperlink brings a reader directly to the article in question, as you mentioned, and if the reader right clicks (to open in a separate tab), both the source article and the one referenced remain open for comparison. I love it when bloggers do that. It helps a reader delve more deeply into the topic, if interested in more information. We should definitely compare our Perry County notes! You’re right about almost everyone there being related to everyone else!